This is definitely a spoiler for those who don’t read the manga, but this fantastic looking artwork featuring both Zeref and Natsu Dragneel, while Natsu is still very young in this image, it’s very similar to the one we were told about his past when he finally was able to bring his brother back to life in the form of Etherious Natsu Dragneel or END. 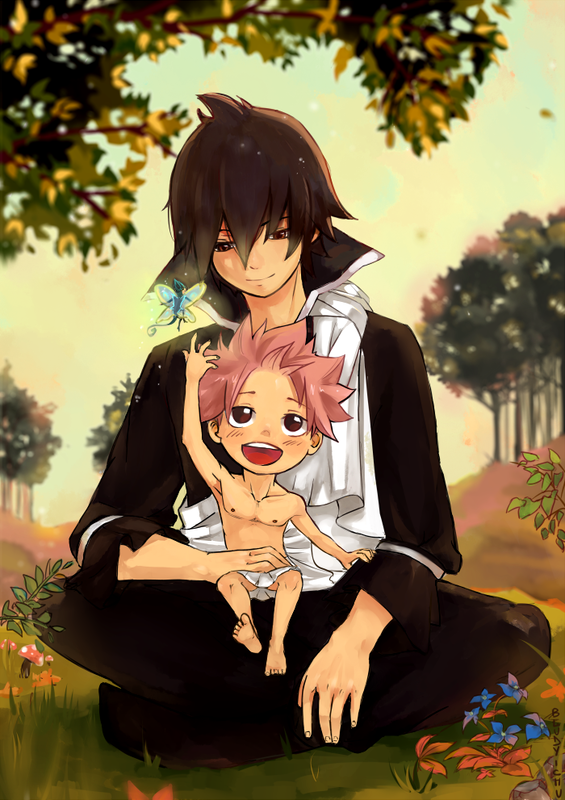 A magnificent image of Natsu and Zeref, like brothers, they enjoy their own company. This image was done by Blody-Chu who is a massive fan of Fairy Tail, they have numerous images based on many characters. If you like their work here, be sure to check them out, otherwise go on ahead and share this piece of art work other fans.